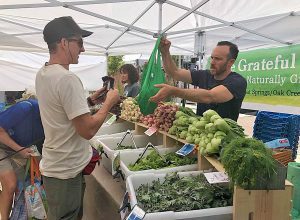 CRAIG — After 19 years of extended drought in the Colorado River basin, water users in Northwest Colorado are concerned that the region could become a “sacrificial lamb,” as the state seeks to reduce water use to meet downstream demands. As Colorado water officials begin work on a new demand management system to reduce water consumption, members of the Yampa-White-Green Basin Roundtable, which met Jan. 9 in Craig, are seeking to make sure the cutbacks don’t disproportionately impact their river basins, including the Yampa, White and Green rivers. The concerns prompted the creation of a new Big River Committee, which met for the first time Jan. 9, to advocate for the basin on state and regional issues across the Colorado River system. There is relatively little reservoir storage on the Yampa River — less than 72,000 acre feet of water on the main stem and a total of 113,000 acre feet in the basin — compared to other major rivers in the West, meaning most of the water feeds into the Colorado River system and, eventually, Lake Powell. “Such a small part of our native flow is developed, and there are concerns about how much should fall on the shoulders of our basin to send past the state line when we already don’t use very much,” said Yampa-White-Green Basin Roundtable Chair Jackie Brown, who is the natural resources policy advisor for Tri-State Generation and Transmission. 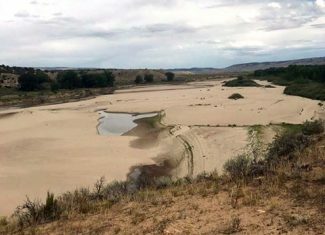 Big River issues aside, Northwest Colorado water users are feeling the squeeze after record-breaking heat and drought in 2018 prompted the first-ever call on the Yampa River. 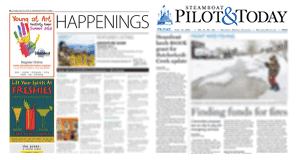 Editor’s note: Aspen Journalism is collaborating with the Steamboat Pilot & Today, Craig Daily Press and other Swift Communications newspapers on coverage of rivers and water. More at http://www.aspenjournalism.org.